If you love making the most out of your day, then you must be so bored when you have to clean your home. There are so many things you need to do, and you do not understand where all that dust and dirt come from. Naturally, you end up frustrated because instead of spending your day outside with your loved ones, you had to clean your home. However, there are some things you can do to make this kind of work a whole lot easier and faster. 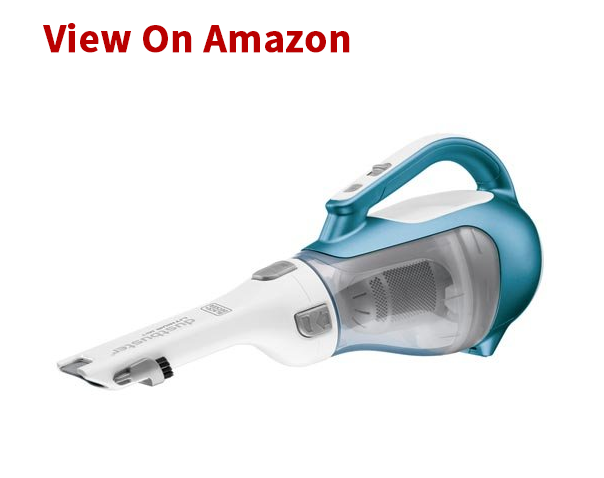 Sure, you need to get a high-quality vacuum cleaner and other handy devices. But, what most of us tend to forget is the importance of having a dust duster at your disposal. 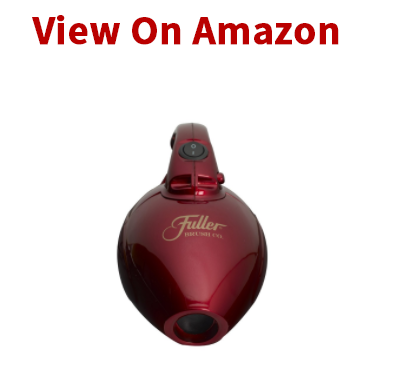 With this handy little device, you will be able to keep your home clean without a need for using a large vacuum cleaner every day. In addition, the best dust buster comes with many attachments so you can clean all those hard to reach areas at your home, in seconds. Plus, these units are not very expensive, considering how practical they are. So, in this article, we will talk about best dust busters on the market as well as what things to consider when buying a good dust buster. With all those dust busters out there, opting for a good one without any help is almost impossible. But, lucky for you, we’ve got you covered. Below we hand picked five best dust busters in 2017 that make easy work of cleaning your car and home. So, let’s see what these dustbusters offer you. Our favorite dust buster comes from well know Black+Decker. If you have heard of this name before, then you know that they deliver high-quality products at a good price. One of those products is certainly this little guy. Here we have a powerful dust buster that comes with a 3-stage filtration system. 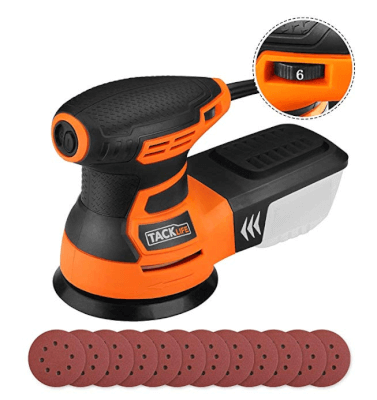 It makes easy work of sucking in dirt, gravel, and sand, leaving your carpet, tiles, and car perfectly clean. You will easily reach those inaccessible areas in your car or shelves, or around your couch, thanks to a pivoting nozzle that can be lengthened. The cyclonic action makes sure that the dirt and dust don’t come into a contact with filter, keeping the performance at a high level. Thanks to its compact design, you can easily store this unit wherever you want, keeping it within easy reach. With a long lasting battery, you don’t have to worry about charging. But when you do need to charge the dust buster, you can do that in less than five hours. On top of all, this dust buster is easy to hold and is not very heavy. As for the downside, the dust buster casing is made of plastic that scratches easily. Here we have another Black+Decker dustbuster that will blow your mind away. This one is more affordable but also offers amazing features. This model looks great and performs even better. With the smart charge technology, the dustbuster uses far less energy than its competitors. In addition to that, the cyclonic action will keep the performance powerful, because the filter will be clean all the time. The Rotating slim nozzle will effortlessly slide under your bed, or other places that you have always struggled to clean. The battery is long lasting and the unit will hold a charge for even 18 months. Made of high-quality materials, this dust buster will catch the dust and dirt in your home for years to come. It comes with a 2-year limited warranty. As for the downside, this unit makes too much noise. 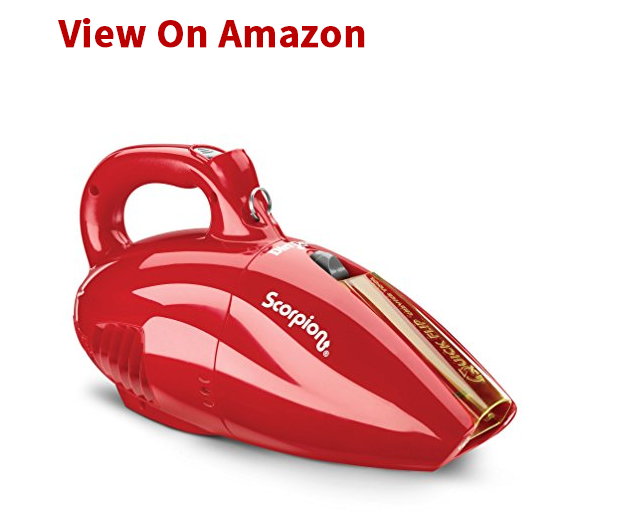 Now, if you don’t want to spend too much money on a devilishly good looking dustbuster, this is the way to go. The Dirt Devil Dust Buster is one of the most powerful dust busters at this price tag, making it ideal for different uses. You can clean your car, a dining table, shelves, and small spaces between a wall and your closet. Furthermore, there is an integrated crevice tool for easy cleanup of pillows and car seats. This is a corded model, so you won’t have to worry about the battery life. However, don’t think that this unit will limit cleaning because it comes with a super long power cord. This is especially useful if you have a bigger apartment. As for the downfall, this unit is a bit heavy, even though the manufacturer claims it is not. So, keep that in mind when deciding whether this unit is worth buying. We think it is, considering its powerful and efficient performance. 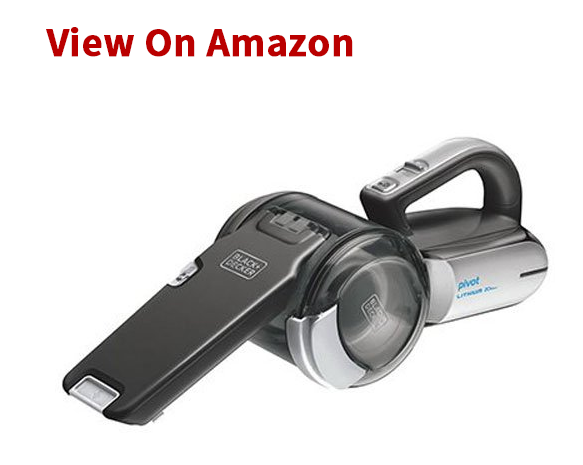 Now, if you are looking for a high-end dustbuster, well, go with this one. The Dyson V6 is three times more powerful than any dust buster out there, thanks to 2 Tier Radial Cyclones and Dyson digital motor. Not only that, but this unit comes with a practical nozzle, so you can clean foot wells, car seats, couches and pretty much everything else in your house. With its convenient design, this unit is a breeze to hold and control. Our last model is a good choice for an occasional use. It comes at an affordable price and offers a solid performance. 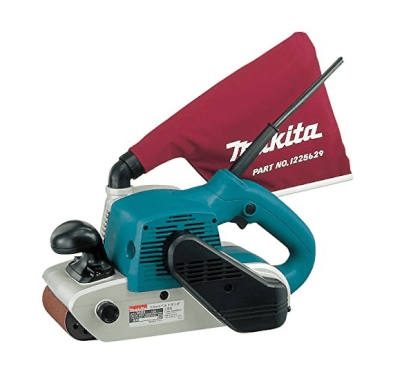 With a 600 watts motor, and 15-foot power cord, this model may not be as impressive as some other models on this list, however, it still gets the job done and that’s the only thing that matters. Without a doubt, it provides a good value for the money, making it also a good choice for those on a budget. It comes with Dusting Brush, Flexible Hose, Upholstery Brush and Crevice Tool, so you can choose the perfect attachment. As for the downsides, the hose attachment tends to fall away from the base often, which can be time consuming and irritating. In addition, the unit is too noisy. A dust buster is a handled vacuum cleaner, perfect for cleaning in a hurry. It is also very useful if you have pets since you can easily clean the mess around their food bowl. You can use it for cleaning your bed, pillows, stairs, corners, and other hard to read areas. In addition, you can use it for collecting bread crumbs after you’ve done with your lunch. What people love the most about dust busters is their compact design. 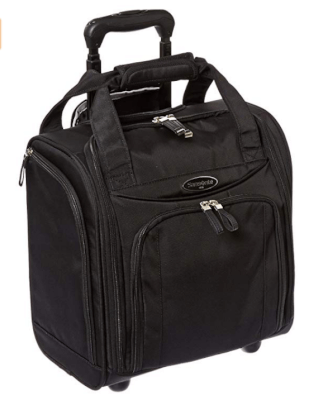 They can easily fit into your closet, or in your car, so that you can have quick access to it, whenever you need it. Furthermore, best models come with brushes and a pivoting nozzle for top notch cleaning. All in all, a dust buster is a must have in every home, whether you live alone or have a big family. Well, if you want to get a good quality dust buster, you have to learn what features are crucial for a good performance of this unit. With that in mind, we bring you a buyer’s guide to clear your way to find the best dust buster for your home. 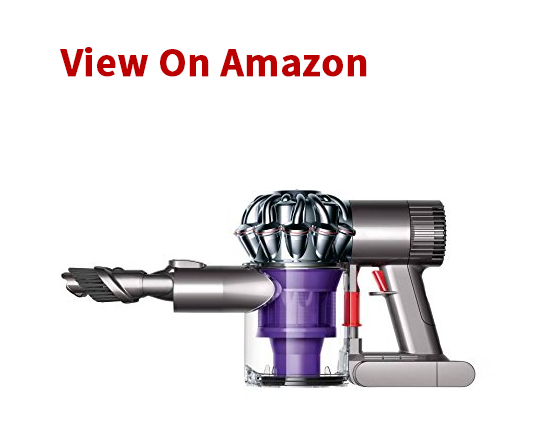 Clearly, the first thing to think about is the power of a dustbuster. Think about how often you will be using it and for what cleaning jobs. In addition, you want to think about how much dust can It handle before you need to empty it. Naturally, some models come with a larger dust capacity, making it a better option for cleaning, since you won’t have to empty and clean the unit so often. Another thing to consider is the weight of a dustbuster. Even though they are small and seem lightweight, some models are actually pretty heavy. This means that your hands will get tired pretty quickly. Therefore, look for a model that is relatively lightweight, so that you can use it for a longer time. Do you need a dustbuster for cleaning your car? Or you want the one for cleaning your home? Then again, you might plan to use this unit for all kinds of cleaning jobs. 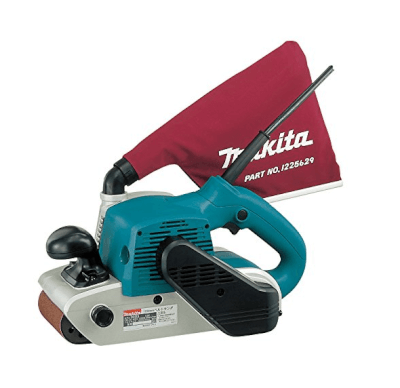 Whatever the case may be, you have to decide which model you need – a corded or cordless one. Obviously, a corded model allows for a prolonged use, simply because there is no battery. However, this model is not so flexible, so you will have to stay close to the outlet. On the other hand, a cordless model gives your freedom so you can take it wherever you go. But, its downside is the battery life. Speaking of the battery, if you opt for a cordless model then you have to find the one that is easy to charge. Also, look for a model that has a good battery life, enabling you to clean what you want in one go. Another thing you probably want to think about is versatility. If you plan to use a dustbuster on a regular basis and clean lots of places, then you need the one that comes with different attachments and tools. For example, if you have pets, you need a brush for pet hair. There are also bendable hoses, pivoting nozzles, and soft brushes, for cleaning every critical area in your home or car. However, if you don’t need a dustbuster for everyday use, a dust buster with a hard-to-reach attachment will be just fine. Well, for those of you who appreciate a nice design of any device in your home, you won’t have to worry about that when buying a dust buster. Namely, these dust busters come in a plethora of design and colors to choose from, so that you can find your perfect match. Well, since you want to invest in a dust buster, it would not be a bad idea to spend a bit more and get a unit that will last you for years. The best dust busters out there are made of high-quality materials and are will not break. Of course, this doesn’t mean that you should drop them on purpose. That being said, be careful when using the dust buster if you want to have it for years. Another thing related to the durability is the price. Even though you don’t have to buy a high-end model, you should go with a trusted brand, since their products are reliable. The best dust busters out there are now at your reach, so take the advantage of this article and find what you need. Whichever previously mentioned model you choose, you will appreciate its power and performance. However, if you want to bother with shopping, then make use of our buyer’s guide, to help you along the way. A good dust buster will be a perfect addition to any home, especially if you care about how you spend your time. 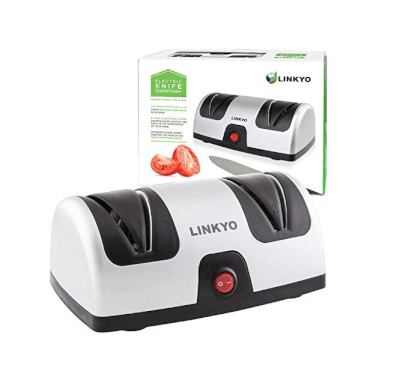 This little guy will definitely save your time and keep your car and home clean.